Ten startups with great NFC and contactless ideas will be able to access a three month program of assistance and guidance, €15,000 in seed funding, free office space, a sponsor package and the chance to pitch their final product to investors. 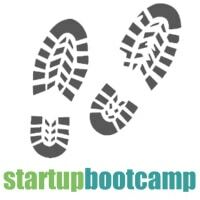 Startupbootcamp Amsterdam is to run an NFC and contactless interactions accelerator program after stakeholder Vodafone suggested the idea to the company’s founders. The NFC&ContactlessXL program will provide ten startups with €15,000 of seed funding, free office space, a sponsor package and guidance from mentors, before finishing with a chance to pitch their idea to investors at the end of the three month period. Applications for the program, which kicks off on 14 October 2013 in Amsterdam, are now open. “An increasing number of devices and appliances are NFC enabled, yet the majority of consumers have no idea what NFC is. With this new specialized program we want to increase the visibility of NFC and the possibilities of the technology,” say co-founders Patrick de Zeeuw and Ruud Hendriks.